Please note I am by no means an expert. This is solely based on my own research. Last week I shared on my Instagram that I am no longer pumping for Lucas to have my breast milk. He has now fully transitioned to having pea milk or pea milk mixed with half soy. He loves it! I switched him slowly making the transition smooth by first mixing the pea milk with my breast milk. Half/Half of each made it so he got use to the taste. I started to slowly increase the amount as my supply decreased. Originally I just tried to wing it and give him full straight milk alternative and that was a no go! The only milk he would take was breast milk or almond milk. 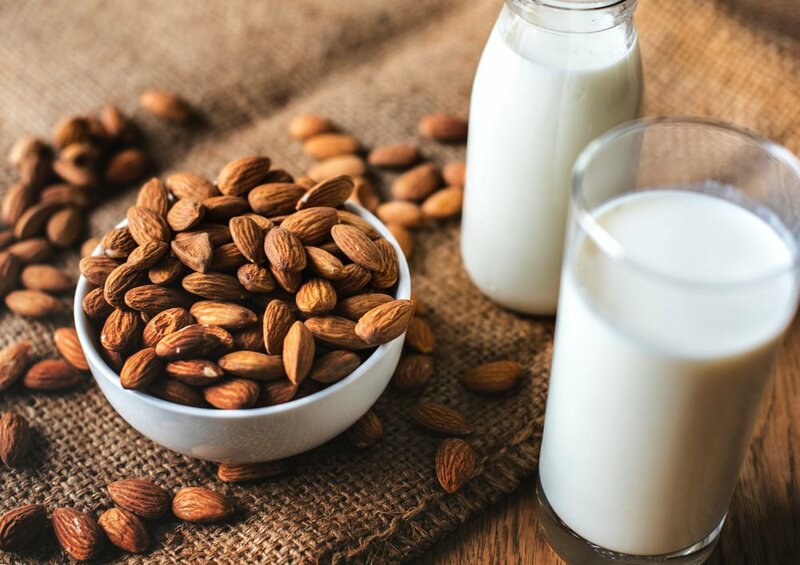 It’s been said that almond milk actually is the closest in taste to breast milk! Who knew! When you’re look for an alternative, you want to look for something as close to 65kcals/100ml and 3g protein/100ml as possible. This is why Lucas consumes Pea Milk & Soy occasionally. The nice thing to note as well is that most alternative milks contain the same amount of sugar per cup as breast milk does! Pea Milk is relatively newer to everyone. When Ripple Pea Milk hit the shelves I remember the vegan community going CRAZY over it! I sure did.. Vanilla, Chocolate HELLO! I absolutely went nuts. Their chocolate milk is hands down my favorite and the thickness is the closest to dairy chocolate milk. As for the kiddos, pea milk is our main source of fat/protein in a glass for Lucas. He loves the taste now that he has adjusted to it and it contains 8 grams of protein per cup & 4.5 grams of fat and 45% Calcium. That’s 50% more thats 2% dairy milk! You’re also getting in Vitamin D, Iron & Potassium and DHA. Pea Milk is one of the best milk alternative you can buy, and it’s perfect for kiddo’s who go to school because it’s nut free! However, the only downfall is that it is expensive. Soy Milk can be tricky. You have probably heard so many conflicting things about Soy. So I have quotes below from Harvard School Of Public Health. Type of study. Is it being examined in a study with animals or humans? 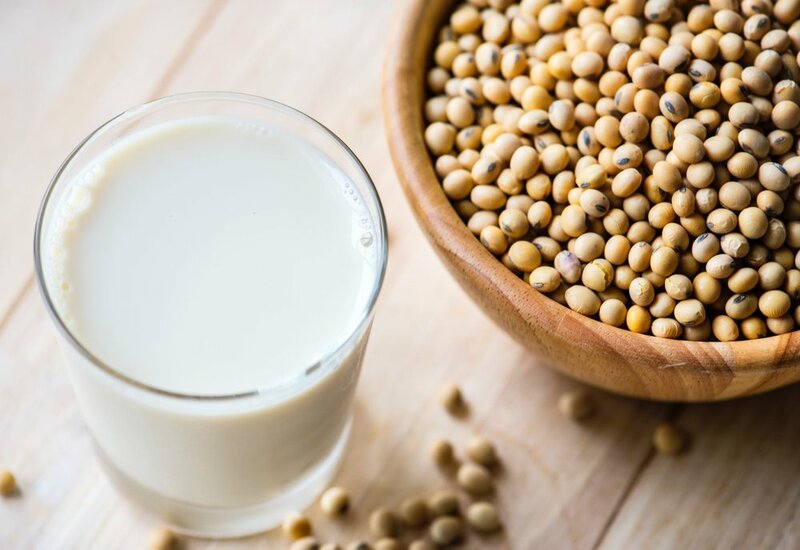 Soy may be metabolized differently in animals, so the outcomes of animal studies may not be applicable to humans. Ethnicity. Soy may be broken down and used by the body differently in different ethnic groups, which is why individuals from some countries who eat a lot of soy appear to benefit from the food. Type of soy. What type of soy is being studied: Whole soy foods such as tofu and soybeans, processed versions like soy protein powders, or soy-based veggie burgers? Fermented or unfermented soy foods? If supplements are used, do they contain isoflavones or soy protein? We use soy in our home and always buy only organic. My husband consumes soy daily where as I do not, I have actually started to have an intolerance to it unfortunately and was aware from prior allergy testing that I was sensitive to it. That being said, Lucas tolerates it but doesn’t have it daily, he also doesn’t consumer any other soy products as of yet. Soy can be a common allergen in children but soy milk is also a close dupe for “low-fat” cows milk. It contains 7 grams of protein and 4 grams for fat. However it does not beat out Pea milk in calcium as some only carry 20%. As a plant based family we are still branching out & trying other milks like oat milk, hemp, rice & coconut but these are the three milks we stick to at the moment. Lucas also does take additional vitamins like his DDrops for Vitamin D along with his Multivitamin & B12 Raspberry Spray.